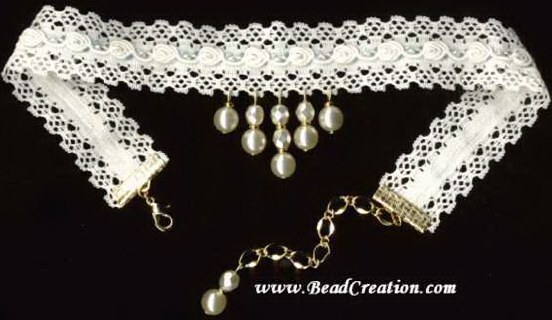 Romantic off-white lace choker adorned with off-white pearl glass beads. 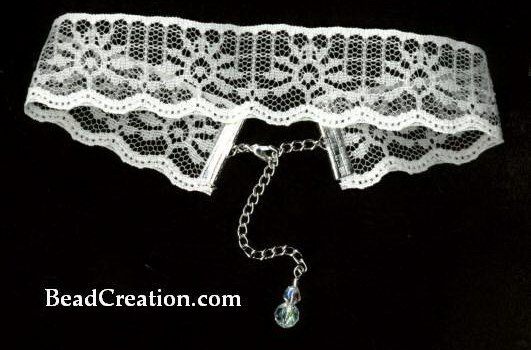 Charming necklace has gold colored findings. 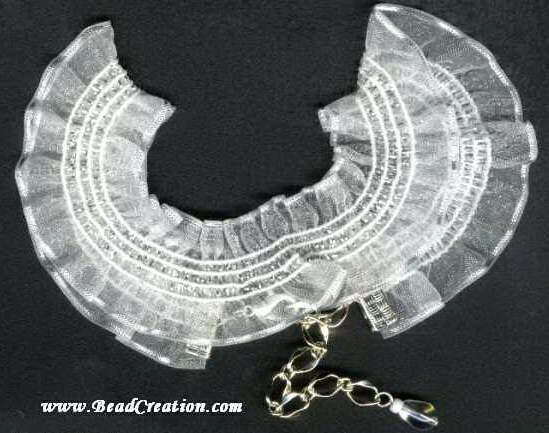 Transparent white choker gathered with silver detailing.